Nail polish Dame is a neutral chrome nail color. 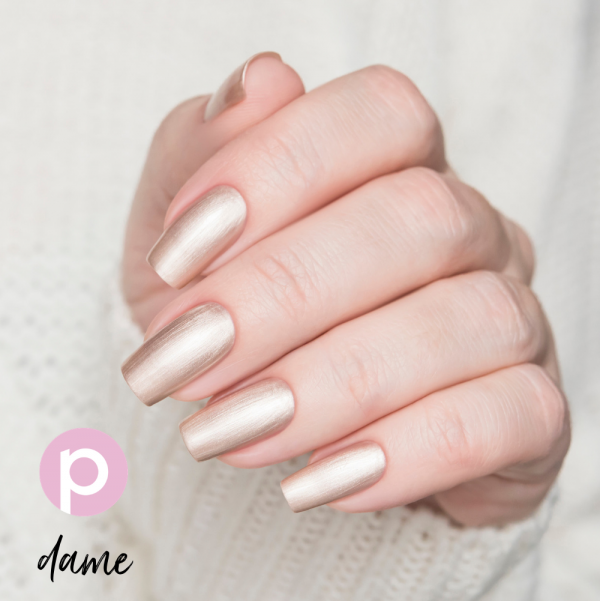 Create beautiful nails with neutral nail polish Dame. Clean nails before use. Apply base coat. Shake nail polish Dame and apply two (2) coats for complete coverage. Finally apply Looking Glass Top Coat for a super gloss finish. This neutral nail polish changes in different lighting from matte satin/silk look to a pastel chrome finish.